The workplace is changing radically, yet the building designs and environmental systems for conventional offices fail to support the more fluid use of space and time practised by these new kinds of office work. 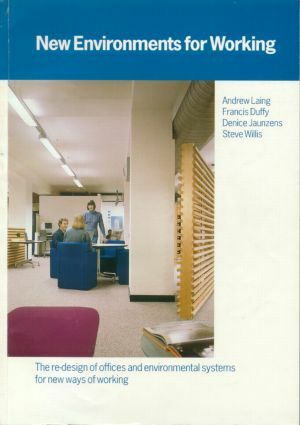 Prepared by the team who wrote The Responsible Workplace in 1992, this book is based on a major research project undertaken by DEGW and the BRE. It identifies the key organizational changes, patterns of work, work settings and types of space layouts and it will help specifiers and users of environmental systems understand what products will be suitable for innovative ways of office working. Introduction. Modelling organisations, ways of working and the use of space over time. Models of organisational types and patterns of work. Models of time and space use. Implications for environmental servicing. Modelling the future. Modelling the supply of buildings and types of environmental servicing. Interactions between the models of organisation, buildings and technology. Case studies of innovative organisations and new forms of environmental services. Model design briefs for new kinds of working spaces and environmental services. Index.